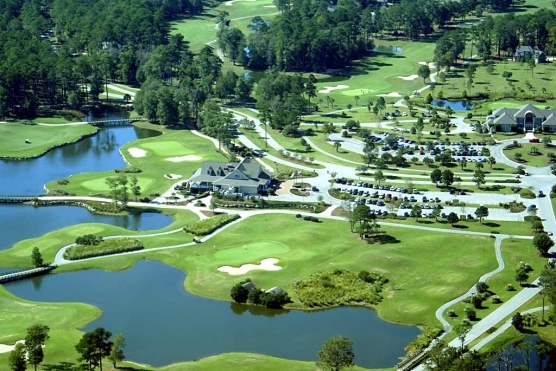 Myrtle Beach is home to approximately 100 top golf courses and the growth of the game is important to ensure the survival of these beautiful Myrtle Beach golf courses. East Coast Golf Management partners Mike Buccerone and Chuck Hutchinson have announced their intentions to re-create the Carolyn Cudone Myrtle Beach Junior Golf Program that is slated to begin next summer. The new program is named the East Coast Junior Golf Program. Fund raising for the program has already begun with an event held this past Monday and Tuesday that featured professionals from the company’s affiliated courses. East Coast manages six courses and has more than 20 courses in a marketing cooperative. Their courses stretch up and down the Grand Strand and will afford them the ability to offer instruction and events in numerous locations so that juniors won’t have to travel far. Carolyn Cudone, who died at the age of 90 in 2009, started the Myrtle Beach Junior Golf Program in 1981 and it featured a summer’s worth of instruction and tournaments. The program merged with the South Carolina Junior Golf Association program that still offers summer tournaments in the area an is being overseen by Dale Ketola of Potential Golf at Farmstead Golf Links in Calabash, N.C.
Buccerone and Hutchinson also hope to fund scholarships for program participants. This program is something that the Myrtle Beach golf community should embrace and support if we want to continue to “grow the game”. Kudos and good luck to Mike Buccerone, Chuck Hutchinson and the East Coast Golf Management professionals as they undertake this very worthwhile cause.